Summer Reading Program event. 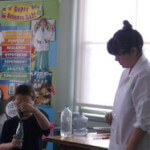 Science Center program instructor helping child perform experiment. 2014 is almost a memory, and we are facing a new year. Television shows are running year end summaries, and people are pledging to make permanent lifestyle changes on January 1, 2015. This is a time for reflection. How does a library define the past year? As Library Director, I look at statistics, program numbers, and building challenges of 2014. 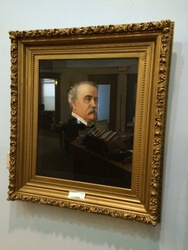 In 2014, the library circulated 93,038 items. This doesn’t include ebook circulations. That number is pretty impressive! In 2013 items circulated totaled 81,811. The library strives to increase that number every year. In this age of electronic information, the fact that the Drake Library can circulate 93,038 books, magazines, and DVDs is impressive. I could go on a long winded rant about how libraries are still relevant to the world and needed by everyone, but I will save that for another blog post! This year the Summer Reading Program was a raging hit. Participants read over 2,330 hours, a record number of children finished the program. The theme was “Fizz, Boom, Read!” and was fully supported financially by the Friends of the Drake Public Library. The library also started monthly movies at the library. Positive feedback has ensured that more movies will be shown in 2015. Watch for posters and publicity. Family oriented movies for everyone to enjoy is the main focus of the movie nights. The American Girl Doll program is successful. Five dolls are available for check out and several parties were held at the library with the American Girl Dolls being the main focus. 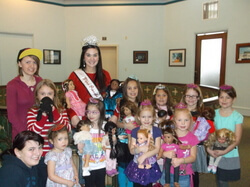 In December, Mariah Clawson, 2014 Miss Pancake Day, came to the Christmas Tea Party and posed for pictures with attendees. Mariah Clawson Miss Pancake Day 2014 visits with Christmas Tea Attendees. The library has a brand new website! The site is fabulous and friendly to use! We are using Social Media (Facebook and Twitter) to get our message out into the world. The library is very grateful to a local donor for funding this website! Our website features news, pictures, and links to various online resources. The Drake Library was opened in 1903 and is still open 111 years later! The same building now provides internet connectivity via wireless and wired computer labs. The smoking rooms and vinyl record collection are gone and in their place, patrons use computers to search for jobs, read the news, and stay in contact with friends across the world. The steam heat radiators are gone, replaced by seven furnaces and central air units. Keeping a building like the Drake Library open and operational is no easy task. This year was an easy year for maintenance. The new waterproofing system in the basement kept the floors dry and the lower walls mold free. New carpet and paint was a spring upgrade in the Children’s section of the library. The windows are still/always an ongoing project for the library board. This year a window study was conducted by an architectural firm. The findings from that study are now being investigated and plans made to either preserve or replace the massive library windows on all three floors. 2014 was a positive year for the library! Lots of people are using the library and the programs we provide! The library building received a mini facelift in the basement and the board is still considering window solutions. The library staff looks forward to 2015 and wishes you a Happy New Year! Annual trip to Appanoose County Historical Museum. Drake Public Library Christmas tree on main floor courtesy of the Friends of the Library. The holidays are a time for giving. This year why don’t you consider giving a gift to Drake Public Library. 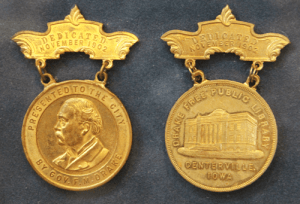 After all, giving has always been an integral part of the library’s history. Its very creation was made possible by a gift from Gov. Francis M. Drake in 1901. Our library has a reputation for excellence. Its reputation has been earned … through the hard work of the library staff, the support of government agencies, and the support of individuals within the community. But excellence doesn’t just happen. It takes the right materials and personnel to make the library successful. In order to maintain the quality of the services the library currently provides, additional funds are needed. Throughout the years the operating expenses of the library have been generously cared for via public funds. However, more recently, public funds no longer even cover day-to-day expenses. So the library needs our donations just to remain open. All donations to help our library are tax-deductible and 100% of all donations go to support the library. 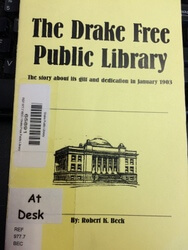 There are several ways to give to Drake Public Library. First, you can give directly to the library by purchasing books or other materials in your name or in honor or in memory of a loved one. Contact our Library Director, Jami Livingston for details. Book plates can be placed in the books to indicate your donation if you desire. You can also give by becoming a member of the Friends of Drake Public Library. Memberships are just $5 for an individual or $10 for a family. Giving a membership to another person would be a super gift. Consider giving a little more and become a Friends’ Sponsor. The Friends do so much for the library. Please click on the “Friends” tab on the menu bar above for more information about this organization and how you can help. Finally, the Library Board is excited to announce the establishment of the Drake Public Library Foundation in January 2015. This private, tax-exempt, charitable organization has the support of our library as its sole purpose. Its board is made up of local volunteers and all donations are tax-deductible. The foundation is set up to receive any bequests and other planned gifts. The most rewarding part of making a planned gift is the knowledge that generations of children and adults will be transformed by the library thanks to the resources you have accumulated during your lifetime. For the new year please resolve to name Drake Public Library as a beneficiary of your will. 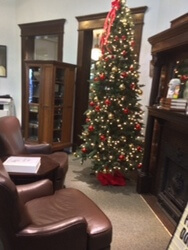 So, for the holidays, why don’t you relax, put your feet up and enjoy a good book – from the Drake Public Library, of course. If you ask any frequent Library user—or anyone who regularly volunteers their time on behalf of the Library—why the Library is important to them, you’ll probably hear motives that, when boiled down, resemble each other more than they differ. I was exposed to books and the near-infinite scope of humanity’s written word chiefly by my Aunt Sue, a long-time elementary teacher in the Des Moines area, and supreme advocate for childhood bookworm-ism. Sue got books in my hands; and maybe more importantly and in a casual, not-on-purpose way, she intimated how books could be acquired and just how incredibly much material was out there to be perused. Through her influence I became a precocious natural scientist (depending on the day, a zoologist, a geologist, a paleontologist, or an incipient cosmologist). My ever-growing collection of references on mammals, reptiles, rocks and minerals, and whatever else, described for me a wondrous reality. I was so enamored, so completely taken by my passion for these subjects, that my quest for information soon transcended any work-like quality and became my chosen medium of entertainment. Reading was then and forever a part of my gestalt. What motivates me to serve on the Drake Public Library Board of Trustees derives from the formation of my worldview through books as a young person. I believe the public Library is necessary to any community as the best,—and possibly only—most democratic way to offer all citizens the opportunity to discover and shape their worldviews. In the world of 2014, access to the varied media by which we take our information and entertainment has become of the highest importance if we are to maintain a society of informed individuals with well-formed concepts of how the world around us actually is. To allow the user to sample and pursue the collected ideas of all of written human history—free and without bias—is the hallmark of the Library alone. I jotted notes on the ideas above while passing a slow day glassing desert bighorn sheep in the Gabbs Valley mountain range of western Nevada. 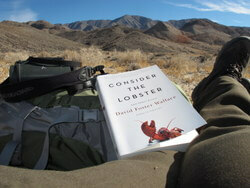 On this trip I packed a paperback of David Foster Wallace’s non-fiction. With all the space and quiet, and this blog piece on my mind, a quote of Ludwig Wittgenstein’s begged my attention: “The limits of my language mean the limits of my world.” Maybe it was reading Wallace that invoked Wittgenstein, or maybe it was the library/worldview thinking; but, at any rate, the quote must be included for its own sheer validity. And so, I’m proud to write to you on our new Drake Public Library website, another tool for accessing the noble and unfettered warehouse of ideas called the public Library. 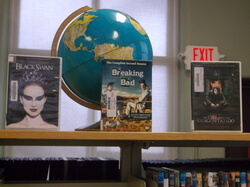 The Drake Public Library has a DVD collection that is heavily used by the patrons. Some people question this and think it is unnecessary. We circulate DVDs for a number of reasons, entertainment, familiarity, and necessity. I recently attended a community function and was in an audience of approximately 125 people. The emcee brought up the Drake Library, commented on how long it had been open and then jokingly mentioned that the library has an extensive collection of DVDs. Several people laughed. What is so funny about that? Libraries serve the public, much of what we do is based on the public’s needs, perceived and real. We feature board books for tiny toddlers, we also have a large print collection for failing and elderly eyes. We want to provide useful materials for everyone! Movies are fun, they are an escape from reality. Special effects, compelling story lines, and talented actors draw viewers in and keep them captivated, for 90 minutes or so. Movies are big business and are as popular as ever. Movies made from successful books are really successful. Teachers often assign students to watch a movie after the class has read the book. Book clubs like to watch movies based on books. If a patron comes to the library just to get DVDs that is fine! We don’t care! A librarian hopes that someday a DVD patron will feel comfortable enough to branch out into books, magazines, or audiobooks, but if not, no big deal! Several of the DVDs available for checkout on the main floor. We have lots of current television series available. We want the public to feel comfortable here, if children use the library with their parents, then they may use the library as adults. We really like to build a relationship with our patrons. There is a group of regular patrons that visit often, daily or every other day. My former boss often joked that librarians are bartenders without liquor. We know our patrons, we get involved in their lives. Why do people still check out DVDs from the library in the age of ROKU, Redbox, Netflix, and Hulu? I think it all boils down to cost. Being on the cutting edge of technology is expensive. Not everyone can afford cable television. Lots of patrons that use our DVD service don’t have cable. Cable is a luxury. Going to the movie theatre with a family of four can easily cost $60.00 on a Friday night. 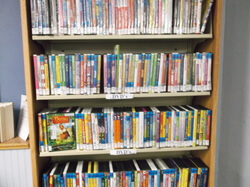 Library DVDs are free, available for two weeks at a time and can be renewed. Why spend money on purchasing a DVD when you will more than likely watch it one time and then it will clutter up your front room? Come to the library, check out a DVD, or check out a book, we don’t care! We are just happy to see you! 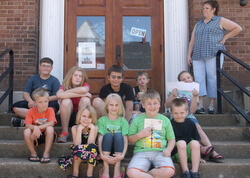 As Children’s Librarian for Drake Public Library, one of my favorite jobs is the outreach program. I visit Zylpha Price group home for disabled adults twice a month to read books to them and color or create crafts. I visit the Preschool and 3-4 year old classrooms at Kids World Childcare once a month for story time. I schedule Reading Night events here at the library and visit several classrooms for the Centerville School District throughout the school year. I have recently begun an outreach relationship with the Parents as Teachers program through our local SIEDA office, doing story times and hosting events for them here at the library on occasion. I am always excited to attend to these outreach opportunities, getting to know the children of our community and helping them gain an appreciation for reading. As we move into the holiday season at the Children’s Department, things are getting busy. We are looking forward to our American Girl Christmas Tea Party, which has become very popular. I will also be participating in the Breakfast with Santa event, sponsored by I Am Main Street by doing a Story time with the children in attendance. 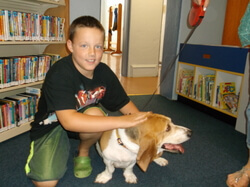 In January, we will be holding another of our Doggie Days so that the kids can read to our local “celebrity dogs”. I will continue to host our programs each week throughout the school year. School Age Story time is on Mondays at 4pm, Toddler Time is on Wednesdays at 11:30am, and Game & Craft Group is on Thursdays at 4pm. Children are always welcome at these events without needing to pre-register. I am also eager to chat with our kids about the books that they enjoy reading, books that they need to find for school and books that they would like to see here at the library. It is through these conversations that I realized how much our Board Book interest and circulation has increased in the last year. With that in mind, our Director, Jami, and I were inspired to request funding from Friends of the Drake Public Library to purchase $1,000 worth of brand new Board Books and an additional storage display for these new books. How exciting is that! The books have started coming in and they are already flying off the shelf! So, come see me at the Children’s Library for a program, a special event or a book. It’s a fun place to be and we look forward to meeting you. How do you decide what to read next? Do you have a “to be read” pile by your chair? Once you read a book, do you record the title in some type of journal? I use the internet to find a lot of my reading material. Goodreads and Amazon are two websites that help or recommend titles of interest. I also use magazines as a great source to get ideas for what to read. People magazine and Entertainment Weekly publish reviews of upcoming books and also talk of movies based on books. Twitter, Library Journal, Booklist are other sources to find lists of must read books. Libraryreads.org is a website that picks ten new books each month. Librarians across the United States recommend the titles. Every book comes with a guarantee that it is a librarian picked good read! I try to order all ten books every month for the library. Being the librarian that orders books for the Drake Library, I find myself constantly thinking about what books people want to read. When I go in a bookstore, new or used, I whip out my phone and take pictures of books I want to order for the library. My daughter who is 17 taught me this trick and it works well. Before I had a purse full of scribbled scraps of paper full of titles and ideas. I don’t read James Patterson myself, but he is the most wanted author at the library, so his books are automatically ordered! I use a “jobber” to order most of the library books. Baker and Taylor is a company that provides a substantial discount to libraries for books. State organizations negotiate with jobbers to get the best discounts for the libraries within that state. I order books online these days. Book orders in the past were faxed or called in to jobbers. But the online shopping cart experience is the way to go these days! I get up to date inventory information and the library discount is automatically applied to the cart before it is submitted online. I also talk to patrons and take requests for books to order. I am lucky enough that a member of my staff reads Science Fiction and Young Adult. Two areas I don’t read. She keeps me up to date on the books I need to order for those genres. I do the best I can, but I do appreciate patron requests. Do you have a list of books you have read? I use Goodreads to enter all my books after I finish them. I also rate them at the time, then I don’t have to keep track of a journal. Some people use computer spread sheets for their lists. I know several ladies that have pocket notebooks full of authors and titles. Other people don’t track their reading at all. But I find it is fun to go back and look at all the books I read in a year or a season. I also sometimes cruise Amazon and read other people’s reviews of a book I just finished to see if I missed something or to commiserate with them about a sloppy plot twist. Remember, whoever dies with the biggest pile of books to be read, wins! Or maybe it is the biggest pile of books already read. Drake Public Library’s new website! 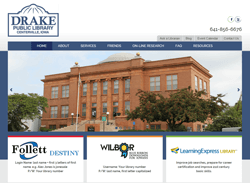 Welcome to our new Drake Public Library website! We will be using our website to provide timely information, access online materials and answer any questions you may have about our library. Spend some time getting to know your way around our new site. You will find lots of pictures of our beautiful building, our active ‘Friends of the Library’ group, and toddlers at Story Time in the various website photo galleries. The site is easy to navigate and full of information, but please do not hesitate to call, email or visit the library in person. We are here to help you meet your life goals – whether you’re perfecting a resume, reading a classic novel or finding the perfect recipe for a roasted chicken. Thanks to technology, libraries are different these days – but our core mission statement remains the same. We are here to help our patrons! So feel free to browse, search, click, “like,” and certainly bookmark this website for future use! Our blog will be updated regularly with library information, news stories, book reviews, and fun tidbits of information. If you’re interested in receiving our blogs as they’re published, please subscribe in the right sidebar. Our beloved Drake Public Library – serving the community for 111 years and looking forward to the future!